Reddit/captj2113The note written by ‘Mr. Nick’ to a student. 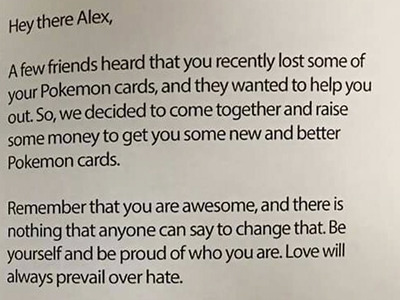 When bullies destroyed a student’s Pokemon card collection, a group of grown-up nerds stepped in to save the day. “Mr. Nick,” a school IT employee, bonded with a student named Alex over their shared love of Pokemon, according to a Reddit post published today. One day, bullies stole Alex’s binder and burned the cards inside. But their attack wasn’t very effective. That’s because Mr. Nick and a group of his friends raised money to replace the student’s cards. 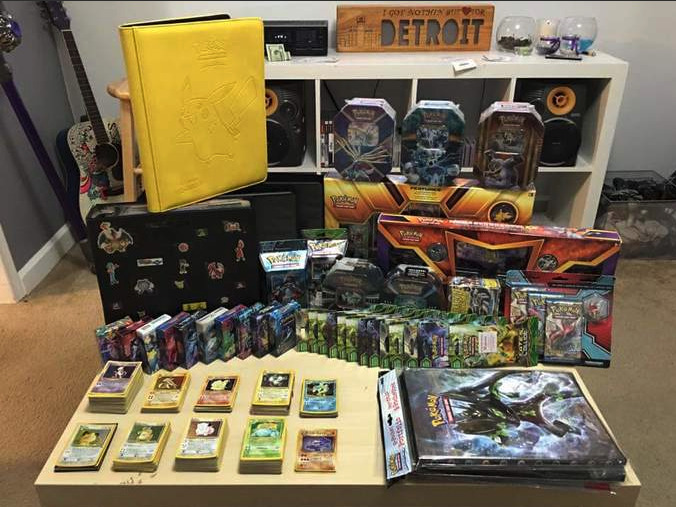 In just a few days, they’d gathered $400, plus several donations of old Pokemon cards. 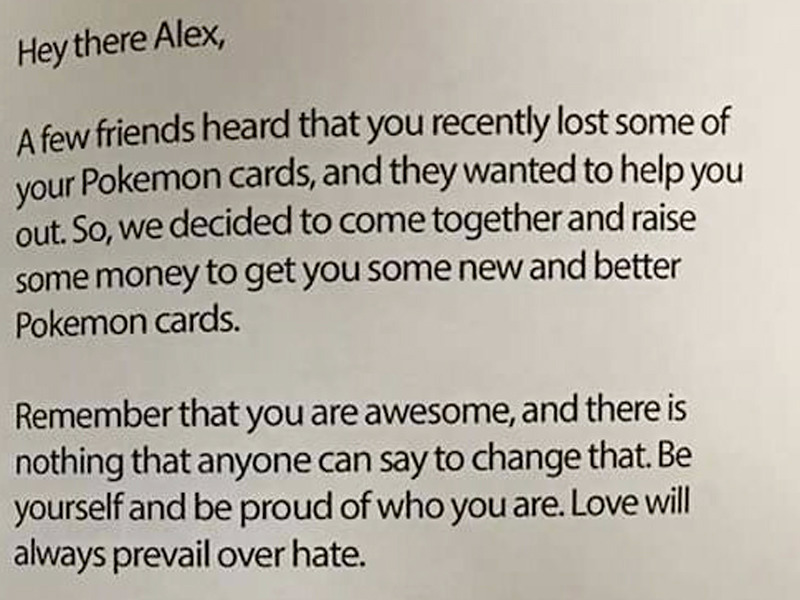 A few friends heard that you recently lost some of your Pokemon cards, and they wanted to help you out. So, we decided to come together and raise some money to get you some new and better Pokemon cards. Remember that you are awesome, and there is nothing that anyone can say to change that. Be yourself and be proud of who you are. Love will always prevail over hate. The names of the people who helped put together this gift for you are listed on this card. We even got them to sign! Stay strong, keep your head up, spread the love and remember to pay it forward. Mr. Nick & Fellow Nerds. And, heartfelt letter aside, the collection they assembled was quite impressive. The original Reddit poster said that Alex was “shy but so thankful” upon receiving the gift. “Pokemon always had underlying themes of frienship [sic] and love,” one commenter wrote on Reddit. “I’m glad that they translate to the real world as well.” Those bullies better blast off at the speed of light.